Apple Vacations is having their Summer Fun for Everyone sale right now! Apple Vacations is having their Summer Fun for Everyone sale right now! Book your favorite resort and kids stay free! Check out all the deals by clicking here and see what we have to offer. 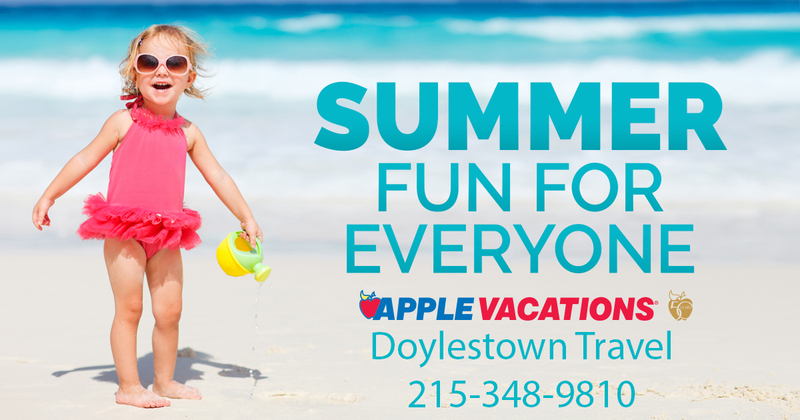 Fill out the Form below, and Doylestown Travel will help you find the best deal on your Apple Vacation. Hurry- book by May 2, 2019!